Cutting with water, steel, metal cutting and Water Jet Cutters. Why use water jet technology for automotive applications? For starters, water jet cutters, whether you are using waterjet machines or 6 Axis Robotic systems, water jet technology is extremely versatile, capable of cutting composites, steel and titanium as easily as cutting headliners, door panels & carpet with pure water. The addition of a non-hazardous garnet abrasive to pure waterjet enables titanium, bronze, and steel cutting with ease, speed, and precision. 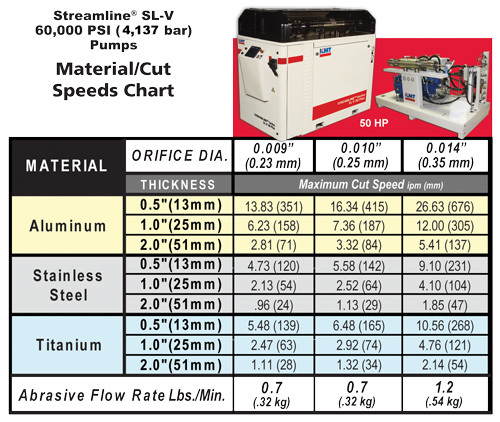 One cutting station can cut multiple different parts without changing anything but the cut software programming. 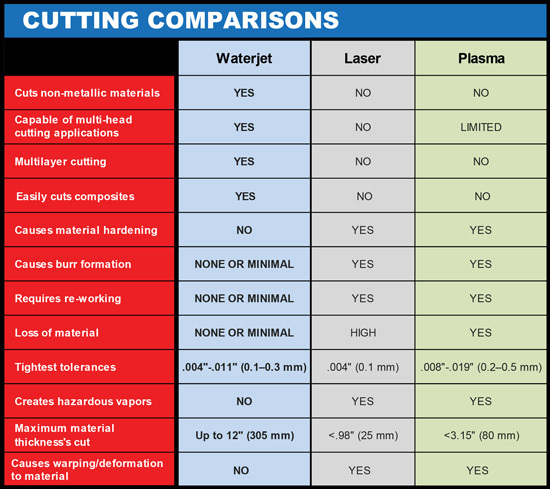 In addition, cutting with water, there are no Heat-Affected Zones (HAZ), generate noxious fumes, or create mechanical stresses on the cut surface. 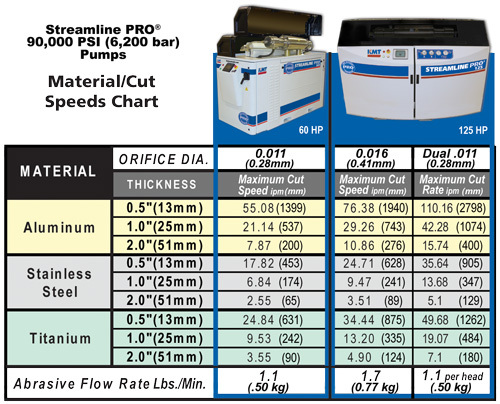 Nor do water jet cutters produce significant material waste, which means that the material is used more efficiently. And to further aid production, water jet cutters create smooth, rough-edge and burr-free surfaces, even on materials that are not uniform, eliminating the need for secondary finishing. While KMT waterjets have been used for mass production applications using 6 axis robotics for increased speed and flexibility in the automotive industry, hundreds of job shops are using KMT waterjet pumps and cutting heads to fabricate one-of-a-kind automotive parts. For maximum performance cutting of hard materials. For cutting of soft and hard materials. Ideally suited for lower demand applications.